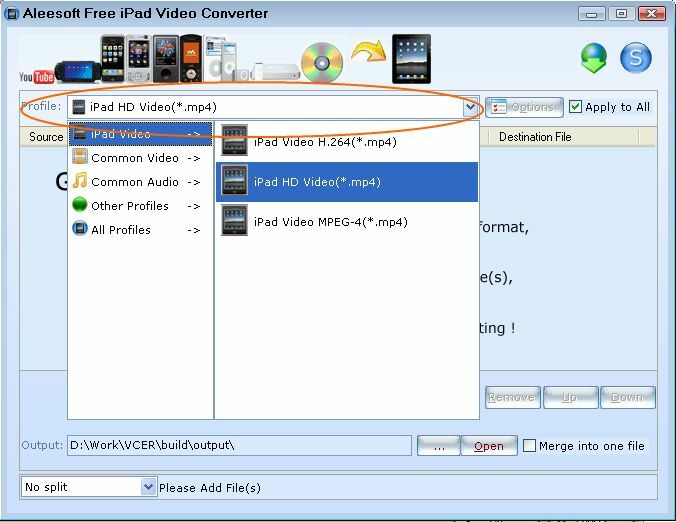 Aleesoft Free iPad Video Converter is a free ipad video converter. This free iPad converter can help you convert youtube video to iPad including iPad HD video, MP4, MOV, M4A, then let you enjoy video and music on your iPad. 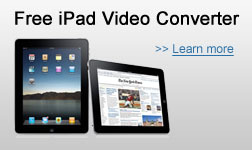 Before converting downloaded youtube video to iPad, please download and install Aleesoft Free iPad Video Converter. Step 2: Add video. Click "New Task" button to add video to this free Youtube to iPad converter, also you can drag and drop video file from windows explorer into this youtube video to iPad converter. Step 3: Convert. Click "Convert" to start converting youtube video to iPad. After Youtube to iPad conversion completed, you can transfer the converted iPad video file to your iPad and enjoy. Now download Aleesoft Free iPad Video Converter and start to enjoy the youtube video on your iPad.